Every moment spent on the beach is magical. We do not know why and what is the magical component in the beach, but we miss these views in every season of the year. 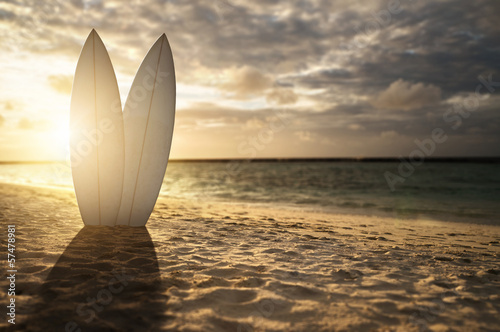 Photo wallpaper with a motif of surfboards will be an ideal addition to every sports fan. Photo wallpaper, despite its sports context, will perfectly match the design of living room.